You are part of the active verification process. Please follow the steps on the email to complete the "dlinkddns" service verification. 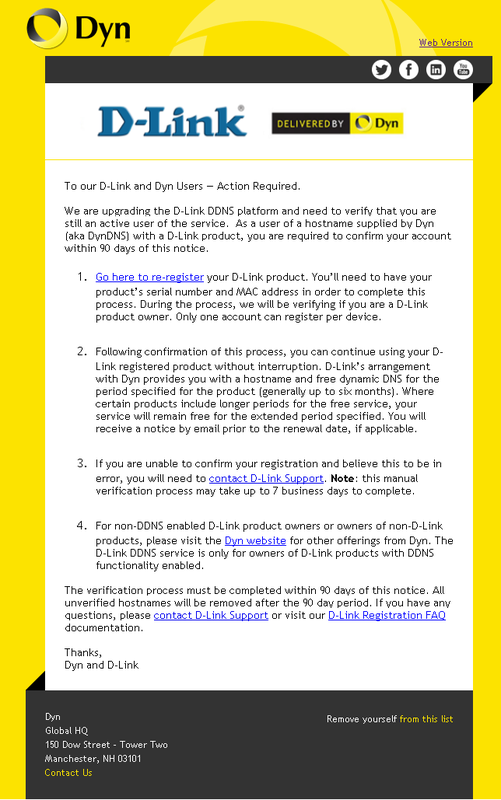 If you have any questions, please visit http://dyn.com/dlink-faqs for more information.